It’s a good question to ask: is marketing worth the effort? There was a time in the past when the only marketing you needed to do for a veterinary clinic was finding a spot on a main road, and sticking a big blue sign out the front. Then you could sit back and wait for the clients to arrive. It’s a point emphasised by Rob Johnson, chief content officer of Engage Content. “There’s this big misconception within the veterinary profession that marketing doesn’t work,” Johnson says. 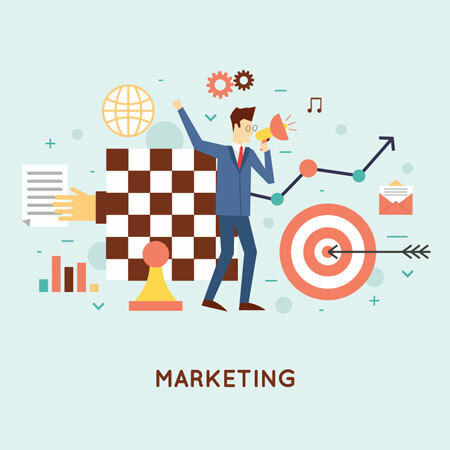 “Marketing is about finding and building an audience. Advertising is about selling to that audience. Ucherek says an effective marketing plan covers five main aspects: establish the brand of the clinic, create a profile of the practice and the team, build a comprehensive website, work with strong imagery, and access specific social media platforms. An outreach plan might include regular updates of content and imagery on social media platforms, e-newsletters, stories on blogs and websites, online advertising as well as local community engagement. But if it seems regular posting on social media platforms is the main key to marketing success, then think again, according to two leading Sydney vets—Dr Matthew Muir of the All Natural Vet Care clinic and Dr Lindsay Hay of the Baulkham Hills Veterinary Hospital. For all Facebook’s reported impact, Dr Muir says his own experiences were less than impressive. “When we have reviewed our return on investment with Facebook advertising, we determined it’s a comparatively high cost of acquisition,” Dr Muir says. And now the Baulkham Hills Veterinary Hospital is about to extend its marketing efforts into a new chapter. “We haven’t yet started the module which allows online appointments but I intend to. It seems clear many people will default to a business that offers online access for appointments which is accessible via a mobile-friendly site. The rise of content marketing, in the form of sponsored stories and blogs, is the other development that demands new focus, Dr Guilfoyle says. “All aspects of media are looking for positive stories, and the most should be made of what is going on within your practice,” he says. But before any marketing plan can be rolled out, he states a practice needs to get its house in order first. “Every member of the team needs to be working with the same plan, so that good marketing starts with the first phone call or first email contact, and then it works through every step of the way,” he says.